IVAN PAVLOV ON CROSSCURRENTS, 9/14 – Doggedly Yours… Howling, Humor, and History. 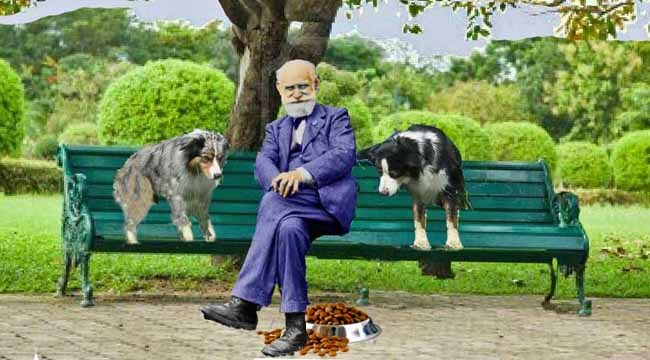 IVAN PAVLOV ON CROSSCURRENTS, 9/14: Known for developing the concept of “conditioned reflex”, the physiologist Ivan Pavlov, was born on this day in 1849. Gavin and Wyatt appear to be one of “Pavlov’s dogs” with a conditioned response to the dog food bowl under the park bench. John plans an appropriate musical reflex and you are invited to listening to the results on Crosscurrents, 9/14 at 8 a.m.